You probably know that your body's first line of defense against infection is your skin. Your skin is tremendously important for blocking invaders and keeping your immune system from working overtime. That's why having healthy skin matters so much — and why researchers are always trying to learn more about how it functions. In fact, new research has uncovered an interesting twist in how our skin cells work that may have a significant impact on how we treat skin cancer or other skin infections. Dr. Michael Chopin and Dr. Stephen Nutt at the Walter and Eliza Hall Institute conducted this new study. They were investigating a particular type of immune cell called Langerhans cells. Langerhans cells are very different from other immune cells because they don't have a specific lifespan. In fact, you can have the Langerhans cells you were born with for your entire life. Your body replaces them only when it needs to, such as if you damage them by burning or cutting your skin. When the body needs to make new Langerhans cells, it does so through the bone marrow, not through the skin. Until now, everyone assumed that these cells were exactly the same as the originals. Since they looked the same, the assumption was that their genetic makeup and function were the same too. Now Dr. Chopin and Dr. Nutt have found that this isn't true. The two cells are actually different types of cells. They were trying to determine the role of Langerhans cells — whether they actually activate the immune system or keep it from overreacting — when they stumbled across this finding. Now that they know that there are indeed differences, they'll be able to design experiments to determine if the two types of cells behave differently. These differences are significant because they could explain why some new drugs aren't working as well as expected. Dr. Nutt says, "Our finding may help explain why these drugs didn't work outside the laboratory, and our current research may provide guidance in developing therapeutics to treat skin infections or skin cancer." Breakthroughs like this are always exciting. I love to see new research that can lead to exciting new treatments. 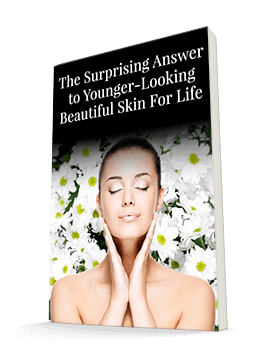 These studies also are a good reminder of how complex our skin is, how our skin is very much connected to the healthy functioning of our whole body, and how important it is to treat it well. Keeping your skin clean and properly moisturized, using gentle, natural products and protecting it from the sun allows the natural functionality of the skin to keep our skin and us healthy. Your skin works hard to protect you — make sure you return the favor.